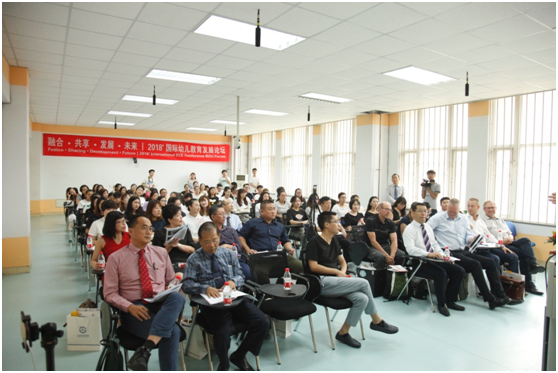 On August 27th, the 2018 Beijing Geely University International Early Childhood Education Development Forum was successfully held in Beijing Geely University. This forum focused on new ideas, and new practices of early childhood education. The theme of the forum is “Fusion, Sharing, Development, and the Future”. 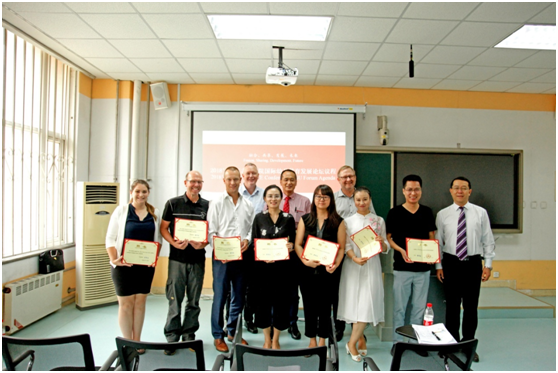 The forum participants were from the Pre-school Education Department of the Aalborg City, Government of Denmark, the University College of Northern Denmark, I-Systems Education Group Malaysia, the China Women’s College, and Ba Xue Yuan Education Research Institute. 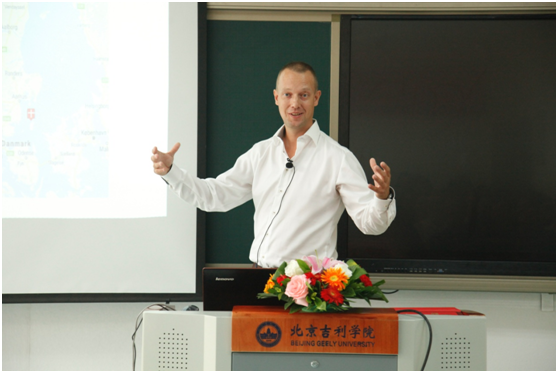 International and domestic early childhood education experts such as the Institute, Red, Yellow and Blue Kindergarten, and Woho International Education gathered at Beijing Geely University to discuss the development of international early childhood education, share experiences and talk about the future. 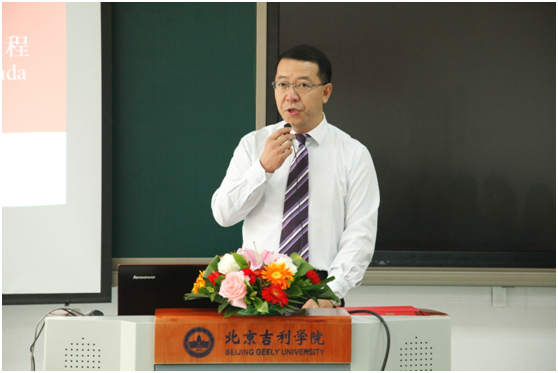 Lv Jun Min, Vice President of Beijing Geely University, delivered a speech at the forum. 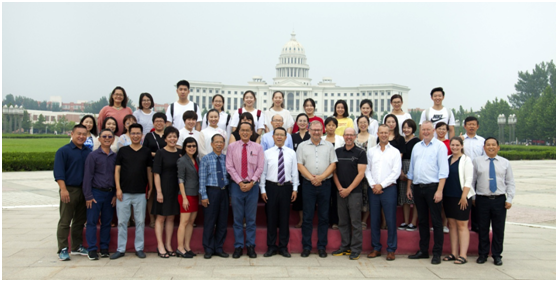 The 2018 International Early Childhood Education Development Forum organized by Beijing Geely University is a high-level dialogue between Danish, Malaysian and Chinese early childhood education experts. The forum brought together, the University of Northern Denmark, Malaysia I-Systems education group and the famous domestic early childhood education institutions to jointly explore the advanced concepts of international early childhood education and to build a cooperative relationship, to build an international exchange platform for early childhood education students, and also promote the development of early childhood education in China. At the forum, Lars Soendergaard Lynghoej Lyn, Head of Kindergarten in Aalborg, briefed the participants on the “Dutch Kindergarten Organization and Practical Life”, explaining that the best early childhood education is to go out of the classroom, explore nature and its surrounding and children learning through outdoor activities; Henning Holt Christensen, Director of Studies, Social Education at the University College of Northern Denmark, briefed on the theme of “Game-Experience Learning for 0-6 years old Children” and described how to make children to be creative, active, and lifelong learners through games; Northern Denmark’s Mogens Larsen Stenderup, a senior lecturer at the University College, proposed the educational concept of creating space for children to play, learn, perceiving and socializing in play with the theme “Life and Professional Skills Development in Early Childhood Education”; Group CEO, Dato’ John Tiong from I-Systems Education Group, Malaysia briefed on the “Overview of Early Childhood Education in Sarawak, Malaysia” and talked about the concept of early childhood education from the physical, emotional, spiritual, intellectual and social aspects. Wang Dan, Head of the Early Childhood Education Program at China Women’s College, put forward the concept of “New Trends in Children’s Curriculum and Teacher Training”, the Vice President of the Ba Xue Yuan Education Research Institute briefed on the theme of “Giving a happy education for children”, Ma Xue Hong puts forward the idea that mental health and personality improvement are the foundation of young children’s growth; Hu Hui Zhen, Director of the Red Yellow Blue Kindergarten, focuses on the importance and practice of parent education in early education. 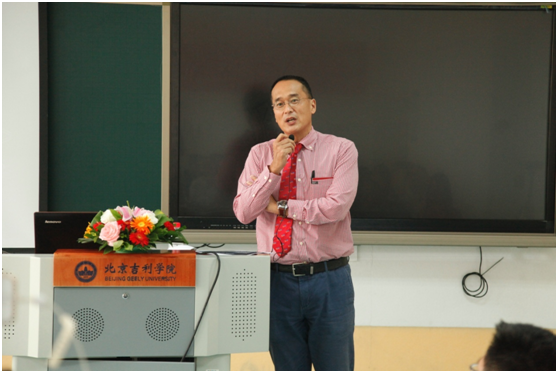 The first mission of parents is to provide a good family environment for their children; Wang Chao Bin, director of Woho International Education, proposes sharing, common cause, educational fairness, and global theme with the theme of “World Dreams and Actions of Early Learning People”. The concept of balanced educational resources. Mr. Wang Qiuli, from the School of Humanities and Design of Beijing Geely University, took the theme of “The Status Quo and Development Trend of Preschool Education in China” and analysed the urgent requirements for the rapid expansion of preschool education in the development of preschool education after the second child policy, and proposed to adapt to preschool education in China. The countermeasures for rapid development; Li Shu Fen, a teacher at the School of Humanities and Design of Beijing Geely University, put forward the idea of ​​cultivating children through developing good habits with the theme of “How to cultivate children’s cultivation in life”. The 10 early childhood education experts clarified the advanced concepts of early childhood education from different angles, and conveyed the ideas and practical experiences of early childhood education in different national cultural backgrounds, which will promote the development of early childhood education in China.